The blog of Fifth of June Photography. All the latest news, sessions and weddings from Fifth of June Photography based in Raleigh, NC. "I told Scott and the children last night how sweet these pictures will be. Last of Georgia Mae before she’s a teenager in August, probably last of Moses with baby front teeth (he’ll be 8 in October and still has the top front baby teeth), and Emmylou with her wobbly new walk before she’s running (16 months old and only been walking a couple months). These will be treasures to remember this perfectly sweet time in our family’s life. Can’t wait!" Those are the reasons we love getting to take photos and video for our clients, we love being able to capture these time in their lives that they will always remember! Any day we get to spend with the Neill family is a good day. Last month Emily asked us to take some more family pictures of them before Avery started Chemo and could possibly start loosing her hair. We wanted to do them in some of Avery's favorite places and where she is most comfortable so of course that included our church's playground and their home! It was a CHILLY March morning, but you know kids, sometimes I swear they can't feel temperature! So they had the best time running around and playing with each other. After about 20 minutes though the 30 degree temperatures and blowing wind set in so we all decided to go back to their house and meet up with both Emily and Andy's parents. Even there we wanted them to just do some of their favorite things which included reading with the grandparents and playing with their toys. We love the Neill family dearly and continue to pray for them daily and ask that you all do the same. We are thankful they have allowed us to walk this journey with them in so many ways and are blessed to see how the Lord is with them even in such a difficult time. Please visit their YouCaring Page if you would like to donate to help them with medical costs and other expenses that come with fighting this terrible disease. Hunter and Brittney helped us to kick off our 2018 weddings with a beautiful winter wonderland themed wedding! The weather was fitting for the occasion....12 degrees, breezy and snow on the ground! We started the day at Stone Creek Advent Christian Church. North Carolina was experiencing record cold temperatures, but between the beautiful sunshine, the excitement of the wedding party, and the family and friends all gathered together to celebrate Hunter and Brittney you almost forgot about the chilly weather. Hunter and Brittney's ceremony was so sweet and personal. Gathering with hundreds of friends and family they pledged their vows to each other and assembled a unity cross together before they were officially introduced as husband and wife! After the ceremony the wedding party was brave enough to head outside for us! The sun was setting over the open field and reflecting off the remaining snow that was left on the ground, leaving everything with a beautiful orange glow. After a few more photos and family portraits we all went to the reception where guests enjoyed an evening of good food, dancing and getting to spend time with the new Mr. And Mrs.
Brittney and Hunter, thank you for letting us be a part of your big day! We wish you all the best! Oh, the Lee Family there aren't enough good things I can say about this family! We have known Nate and Lane for years and have truly enjoyed getting to watch their family grow. In contrast to my all blue, all truck, all ball, all boy house. The Lee house is all things girl: pink, bows, dresses, princesses, dolls and beautiful girls! We have loved getting to document the girls throughout the years and it's no different with their newest baby girl, Alaina! She is the sweetest little baby, and has already adjusted to and loves the chaos that surrounds her! During the session Anna Kate quickly got distracted with my boys in the backyard (of course we had to make a playdate/mommy time out of the session:), but Abby Grace did not want to leave her new baby sisters side and was there helping the entire time! It was so sweet to see the love and excitement she has for her new sister! Clint and Roxie's wedding was a beautiful December wedding in quaint eastern North Carolina. It was a cold but sunny day and Roxie was so stunning I'm not sure anyone even realized how chilly it was. We met the bridal party at Roxie's home church, First Baptist Church of Ahoskie, early in the day and got to spend the afternoon with them as they prepared for a beautiful ceremony and fun-filled reception. There was not an empty seat left in the church as Roxie walked down the aisle and Clint and her exchanged vows. The evening finished with everyone dancing the night away during the reception at Beechwood Country Club with live music from The Pizazz Band. Thank you Roxie and Clint for allowing us to be a part of your big day! As we sort through more photos from the Neill Family Session, I am reminded of how evident the love this family (and their friends) have for Avery. If this is your first time hearing about the Neill's, be sure to visit our original post to learn more. From day one of Avery's diagnosis, a community of people has been formed, life long friends and new acquaitenances, who want to do anything they can to support the Neill family. During their photo session we wanted to do something special for Avery and the Neill family so we set up three Christmas trees in the middle of a field in front of a rustic barn decorated in Christmas lights. It's amazing how we were able to pull everything together in just 48 hours and how so many people were more than willing to jump in and help. Specifically, we want to thank the Johnson family for letting us borrow the Christmas trees, the Bailey family for allowing us to use their property and for decorating the barn and to my friends and husband who helped me to get the Christmas trees set up and decorated. And it wasn't just the adults, it brought tears to my eyes to see my boys so excited to chip in and when my friend Jen came to help decorate the tree, her daughter (and Avery's friend), came along with so many great ideas that only a child would think of, like hiding candy canes all over the back of trees for Avery to find and discover. Of course, Avery loved when she discovered them! Of course, what we all want is for this diagnosis to disappear, for the Neill family to be able to go back to the life they had beforehand and ultimately, for Avery to be well. Our hearts break together as we watch Avery, Emily, Andy and the entire Neill family navigate this diagnosis and the realities of it. While there are some things we can't change, there are so many things we can. One of those is the financial burden this diagnosis has placed on the Neill family. If you haven't already, be sure to visit the Neill Family's 'You Caring' Page where you can donate today. This family has a long journey ahead but they will not walk it alone. Please, keep this sweet family in your prayers. There are certain moments in photography that feel sacred. Opportunities to document that hold the highest honor. 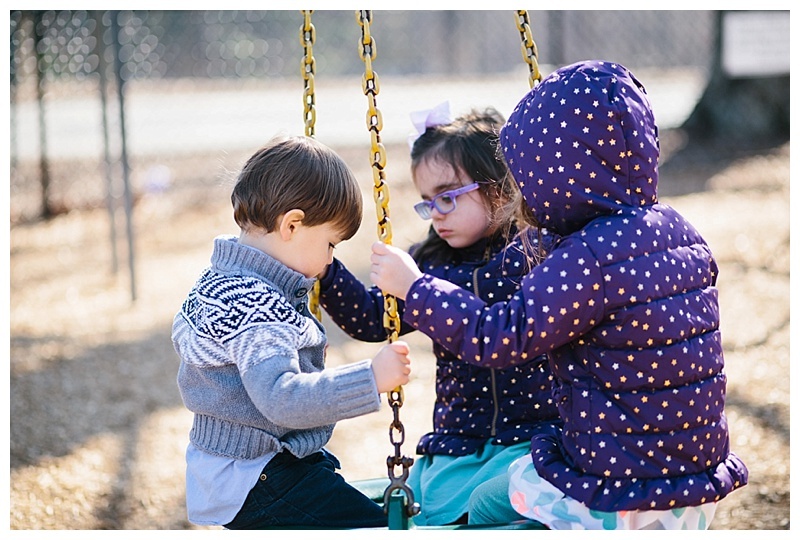 One such moment came this past Sunday as we met with the Neill family in North Raleigh to take some family photos. We gathered on land where we have shot many times before. Beautiful acreage in North Raleigh owned by a family from our church who have graciously allowed us to use it, time and again. This was one such time that they were more than happy to open up their property to us and even decorate their beautiful barn for the session we would have that afternoon. The Neills include Emily (mom), Andy (Dad), Bekah & Avery (Twin Sisters) and James (the youngest of this crew). Teran and I have known them for a while and Teran has been blessed to be part of their small group for the last few years. They are a close knit small group that has lived life with each other, grown their families together, and figured out parenting (and its accompanying highs and lows) side by side, along with the rest of their community at Bay Leaf Baptist Church. That is why Friday came as a heavy blow to everyone when we heard the news that sweet Avery had been diagnosed with a brainstem tumor known as "DIPG," which is sadly incurable and for which there is very little treatment. The average prognosis is 9-12 months. 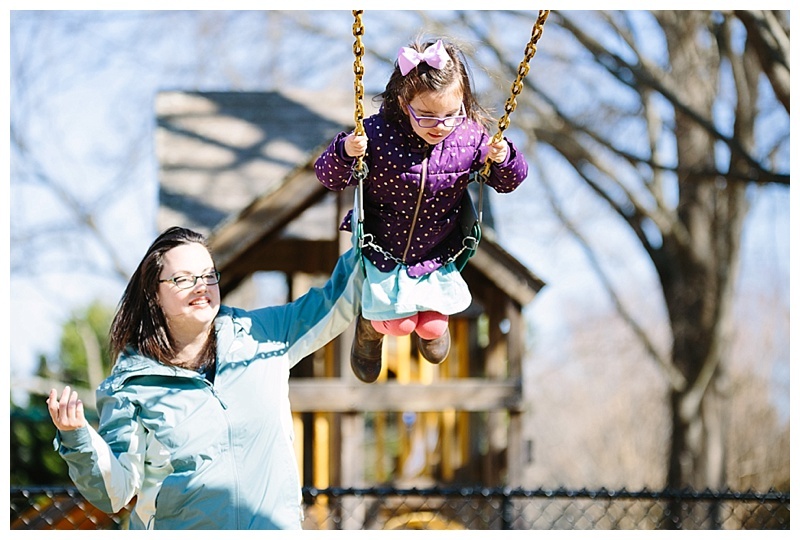 Emily reached out to us that afternoon asking if we might take some family photos prior to Avery beginning treatment this week, a request we were honored and humbled by, and which we were more than willing to fulfill. 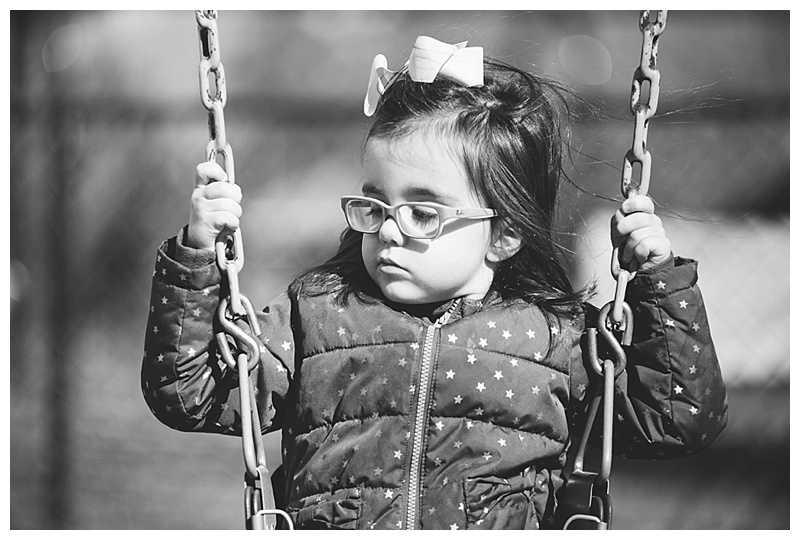 On Sunday, Avery was already showing symptoms from her diagnosis though her main struggle was with dizziness and nauseous from the double vision they believe she was experiencing. 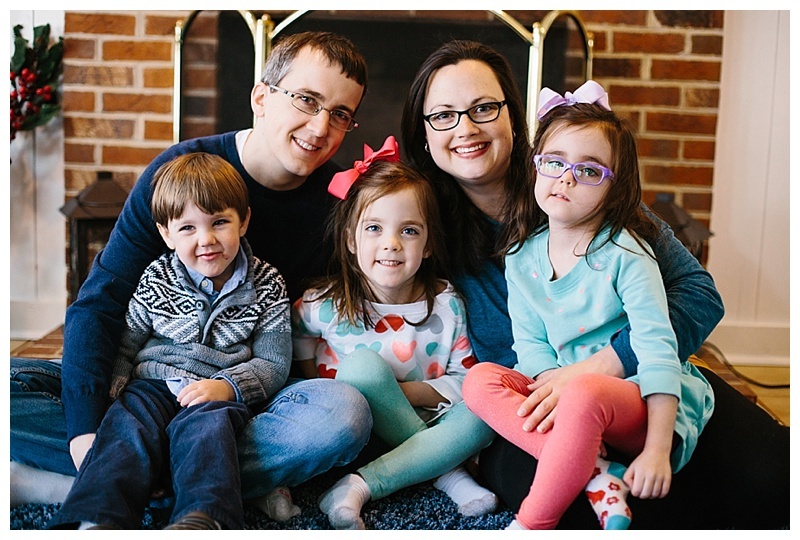 Yet there on a cloudy Sunday, with the Neills and their extended family driving in to join, we were able to capture a few images for this sweet family before their life enters a new season of treatment for Avery. For a few short hours we were able to focus on the smiles and joy of this incredibly brave family and we were able to document Avery and her family as they enjoyed being just that: a family. We love the Neill family and can only imagine the weight of this season they are entering. We are heart-broken but not without hope. We are amazed at the grace and courage of Emily, Andy, and their entire family as they begin to navigate this road. We are touched by Avery's sweetness throughout this all, and we continue praying for strength and courage. It was our joy to offer this session to the Neills and we are actively looking for other ways to walk alongside and support them during this hard season. We were able to donate to Avery's YouCaring page, and we would encourage you to do so as well if you are able. You can find the link here. Avery's diagnosis will significantly alter the lives of the Neill family, including financially. One way they can feel our love and care is through donations that help ease the financial burden, which is only one of the many difficulties they face ahead. Perhaps even more importantly, please pray for the Neills--for strength, encouragement, faith, peace, comfort, and healing. Finally, you can follow the Neill's journey by joining their Facebook page where friends and family will be adding updates regularly about Avery's journey. You can even post messages and help connect others in encouraging the Neills with the hashtag #braveryforavery. Somber moments like these can take our breath away and leave us speechless. But where words fail, pictures speak loudly. Avery's smile and hope-filled gaze; her sister's calm sparkle; Emily's passionate embrace of her daughter; her Daddy's protective grin. These moments are perhaps more real than the words to describe them and will endure as memories of God's goodness in creating and uniting the Neills as a family. Even in the midst of sorrow and anticipated loss, the beauty of these moments reminds us that the sovereign author of them all endures far beyond, holding for us a joy that cannot fade or diminish. We pray that these realities will be a comfort to the Neills in this difficult time. Katie and Matt's wedding day was one of those weddings where you could feel the emotion and excitement throughout the day. Watching Katie's sisters as they prepared her to walk down the aisle to Matt with such care and love was so sweet. You could tell they were preparing her for the day she had been so excitedly waiting for. The guys spent the afternoon getting ready as guys do which entailed a lot of joking around and picking on the groom! But when it came time for Katie and Matt to exchange gifts you could see that the anticipation of the day was becoming real and their reaction opening their gifts was priceless, and was only topped by their faces when they saw each other as Katie walked down the aisle. Their ceremony was beautiful as the church was filled with loved ones watching the two become one. They had a lot personal touches and special moments. The reception was fun filled with a live band, all of their close family and friends and a great evening for all! Everyone was so excited celebrating the new Mr and Mrs Gardner and we are so thankful we got to be a part of such a special night! Check out their video to see for yourself! Back in August, we were honored to capture the moments, details and memories as Kayla and Jonas began their life together as Mr. & Mrs. Jonas Bailey. It was a beautiful August day, mild for a Raleigh summer, and the sun was shining as these two became husband and wife. We started the day at the Salon with Kayla and her girls as they were getting their hair and makeup done. There was no shortage of laughter and smiles as old friends reminisced and new friends and family awaited the day ahead. We then met Jonas and his guys at the church and got to spend some time with them as Jonas anxiously awaited the moment he would see his bride. Of course, his groomsmen were happy to fill his short wait with jokes and laughter. It was a beautiful ceremony and you could see and feel the love Kayla and Jonas have for each other and for the Lord. The reception was hosted at The Sutherland in Wake Forest. A staple in the Raleigh wedding community, The Sutherland did not disappoint. Not only are the grounds beautiful, but the house, pavilion and staff are amazing. Kayla and Jonas welcomed their friends and family to a true southern meal complete with Cheerwine and a night of celebration and dancing! Thank you Kayla and Jonas for allowing us to be a part of your beautiful day. We wish you both all the best in your life ahead - together! Quin is entering his senior year at Woodgrove High School here in North Virginia. Like most of our senior guys, Quin was a good sport to tag along with me around Daufauski Island while we took his senior photos. I might even make a stretch and say he enjoyed it! Good luck in your senior year Quin, can't wait to see what the future holds for you! Katelyn and Hank's wedding was one where you leave knowing that everyone truly enjoyed themselves and are going to remember it for awhile. We met Katelyn and her girls at her sister's house in Hobgood, NC. I must be honest, I had never heard of Hobgood before booking this wedding and as we were driving out there I could see why, but as we got farther and farther off the main road it was like we were driving into a country song. Her sister's house and farm were beautiful and as we watched the storms in the distance as they finished getting ready it was truly beautiful. The wedding took place at The First Baptist Church in Scotland Neck, NC. Hank and his guys were a lot of fun to be around and you could feel the excitement in the air for what was to come. The church was packed full as Katelyn walked down the aisle in her beautiful dress. The southern charm in this wedding could be seen throughout, from the magnolia leaves that were everywhere to the Embers playing at the reception. At the reception, the dance floor was never empty. Paige and I had a great time! You can never go wrong as a videographer when you have an amazing bride and groom to capture and also a fantastic photographer to work with...thank you Kelly Parnell! Thank you Hank and Katelyn for allowing us to be a part of your wonderful day. In the age of pinterest it's hard to do anything truly unique anymore, but some how Erin and Bryan pulled it off! From the waterfront venue (which was also a HUGE boathouse) to their dog walking down the aisle, to the drone coverage and the acrobatic entrance and entertainment during the cocktail hour there was always something to keep the guests wondering what's next?! We had the honor of being a part of their memorable wedding this past April in Beaufort, NC. The day started in beautiful Morehead City, NC where the bridal party was getting ready and then took a trolley to The Boathouse in Beaufort, NC. On the drive over there was rain, but thankfully it all quickly cleared and allowed for a beautiful outdoor ceremony and great open-air reception! One of the cool things with this video is the drone footage we got to incorporate thanks to Skyward Imaging. These guys were amazing and captured some of the surrounding area and ceremony like no other. The Boathouse at Front Street Village is a functioning boathouse so as we were taking pictures before and after the ceremony the crew was literally picking boats up out of the water and putting them on shelves for storage. I've never seen anything like it and it made for an incredible backdrop! Thank you Erin and Bryan for allowing us to be a part of your day! It's always fun to watch our friends move into different seasons of life and that has proven true with Eric & Emily. In March they welcomed John Wallace Raschke to the world! John was a trooper throughout the entire session. Managing to nap semi-peacefully as we moved him all around! Congratulations, Eric & Emily! Excited to watch you and your family grow over the months and years to come! We want to introduce to you all Kayla and Jonas! We are excited to be photographing Kayla and Jonas' wedding in August of this year, and had fun a few weeks ago getting to spend an evening with them for their engagement shoot. We had their session at Jonas' family property and it was so meaningful. This property is where Jonas' was raised, where he proposed to Kayla, where they will one day build their house and where a family members Golden Retriever just had a litter of puppy's, that Kayla may or may not want to kidnap! :) We had so much fun with Kayla and Jonas. The love they have for each other was so sweet and the excitement they shared for their upcoming wedding was contagious! They showed us the barn that Jonas and his dad restored, the hill where they are going to buy their house, and we just spent time getting to know them! We hope you all enjoy these photos as much as we enjoyed getting to take them and we can't wait to share Jonas' and Kayla's wedding with you in August! We love shooting in new locations, we love it even more when it's the family's property! The Brinkley's were absolutely adorable and their property was a photographers dream. Laura and Nick have a 2 and a half year old little girl, Madison, and are expecting twins this Spring. It was a bit of a chilly afternoon the day of their pictures, but Madison didn't seem to mind and neither did the cows that followed us around during the session! Getting to take pictures of expecting mothers and their families is one of our favorite sessions. The anticipation and excitement of everyone is always so fun to photograph and it was no different with Laura and Nick. Madison was cute as a button and is going to make a great big sister. The property had beautiful pastures, a quaint little pond with a blue boat as well as a barn that was catching the sunlight perfectly. Thank you Brinkley family for allowing us to capture these photos for you! You couldn't have asked for a better afternoon then the one we had with Caitlin and Jarrod...well other than the 20 mile gusts of winds that kept coming! The wind made for some pretty funny outtakes, but also for some pretty awesome pictures. Winter pictures can be challenging because the sun falls so fast and the cold sets in just as fast, but the light you do get is usually so crisp and beautiful it's all worth it. Caitlin and Jarrod were so cute together. Their love for each other, books and Penguins (ok, maybe that's just Caitlin) was evident through out! We loved walking around the park getting to know them as a couple, hearing about how he proposed, and just watching the two of them interact. It's always the best to me when a couple can have fun together, they can just be themselves and let the photos come naturally. Capturing couples, families, kids when they are in their element being who they are is why we love doing photography and making those memories. Caitlin and Jarrod were no different and we are so excited for them and their future together! Though it is long overdue, we are excited to post these sweet photos of our dear friend, Catherine, and her charming guy, Travis! We had the privilege of enjoying a mountain weekend with them this past fall as we all headed to Franklin, NC for a weekend of fun! Ironically, we took these photos just a week before many of the major fires broke out in Western North Carolina. We were treated to beautiful weather and gorgeous fall colors while we were there! Travis & Catherine will be getting married this coming April and we are thrilled for these two to begin their life together!